Wizard Wars—which is a reality show about magicians, not a Syfy original movie—has gotten an order for an additional six episodes. 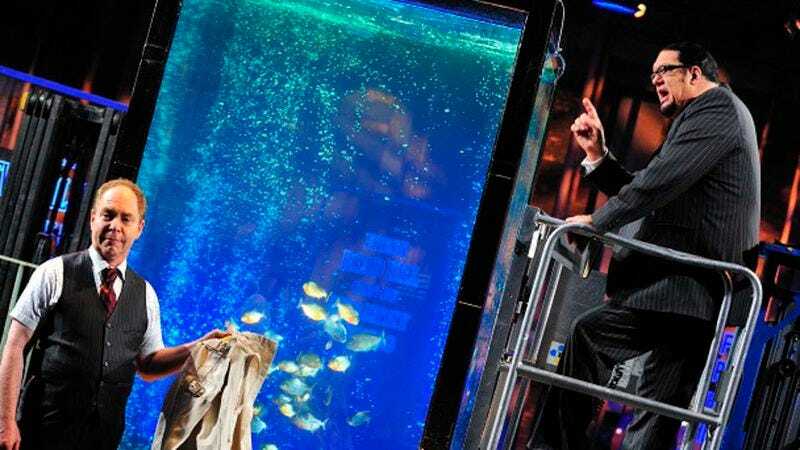 The series pits teams of magicians against each other to see who can best convince jaded members of a live audience that magic is real while also pleasing a panel of experts who grade them on creativity, deception, and showmanship. Each team is also charged with incorporating everyday objects—examples have thus far included Spam, chess pieces, and a live puppy—into their acts. That makes it kind of like one of those head-to-head cooking shows, except that the random ingredients are sent to whatever mysterious place magicians have been sending doves and playing cards all these years instead of being baked into a casserole. The series premiere, which ran last month, was watched live or later that day by over one million people, a solid showing for a cable network like Syfy. Venerable magical comedy duo Penn & Teller are currently on the show’s judging panel; they will return next season, presumably to give feedback by way of either a booming voice that overpowers all others in the room or small nods. Expect the new episodes to air sometime in January.